A warm piece of pie, right out of the oven, with a powerful aroma of apple, almond and cinnamon is the perfect dessert for celebrating our victory. The Giants have won game 7 and became the world champions for the 3rd time in 5 series, thanks to Madison Bumgarner and his golden arm! It was scary when we lost game 6 but they always say a blowout loss is better than 1 less, or maybe I just made this up! Either way, I had a rough day at work yesterday and only a win could cheer me up so with that thought in mind I picked up the ingredients on my home, already assuming the victory. It seems my 6th sense was right on and they did a great job. Now, it’s time to get ready for Halloween festivities. For those of you who already have tried my blueberry-almond pie, this is almost the same recipe only with more apples. 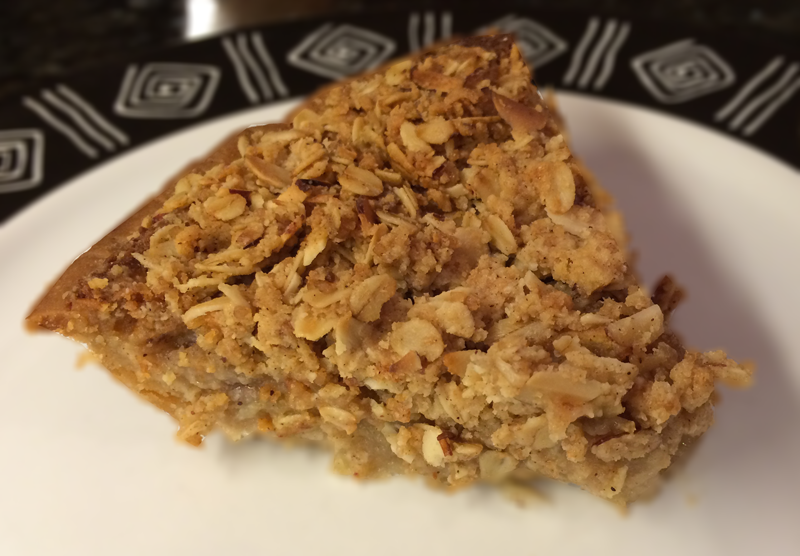 This entry was posted in Desserts, Gluten Free, Life, Recipes, Uncategorized and tagged Almonds, Apple Pie, Baseball, Desserts, Life, Madison Bumgarner, Recipes, The Giants. Bookmark the permalink.